Hermioni Inn offers 15 comfortable rooms, studios and apartments. All are arranged with kitchenettes and basic equipment, refrigerators, A/C, Tv, private bathrooms - showers, and balconies or patio with garden furniture. There is a free WiFi in all areas and floors. 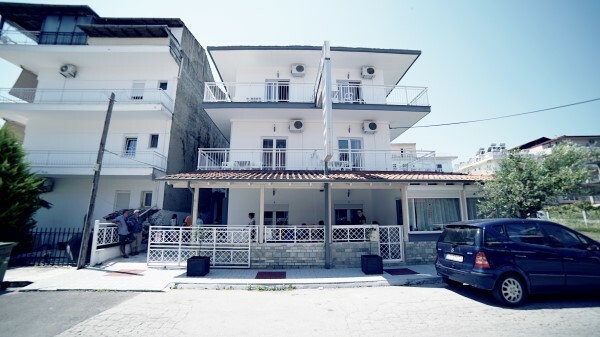 Hermioni Inn is located in a quiet neighbourhood, yet very close the beach, the center, the bar and cafes, clubs, shops, grocery stores, pharmacies, bus stop, taxi, tennis courts, volleyball and basketball pitch, football pitch etc. All the public parking areas are free. 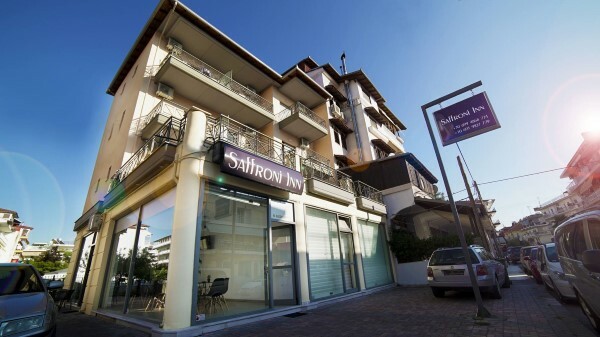 Saffroni Inn is situated in the most thriving tourist destination of the coast of Mt Olympos, in Paralia Pierias. It is in a beautiful location of Pieria, offering its visitors seven kilometers of stunning beaches with its crystal waters and golden sands. Everyone can find here plenty of water sports and events like wrestling tournaments, beach volley tournaments, beach rackets tournaments, and more. There are 14 beach bars that organize regularly various beach parties and events offering unforgettable fun. In only a 3 minute walk you can reach the center of Paralia full of shops, cafes, restaurants, parks and squares. Even the supermarkets, bus stops, disco clubs, football pitch, basketball pitch and tennis court, Water Park attractions are only a few minutes away.